This summer I looked down at my phone and saw that I got a call from my brother. I’m not saying that my super power is knowing when someone is going to propose, but guys, I freaking knew. Joey had been dating Danielle since high school and it was about time! As he told me his plan, I convinced myself that I HAD to be there. 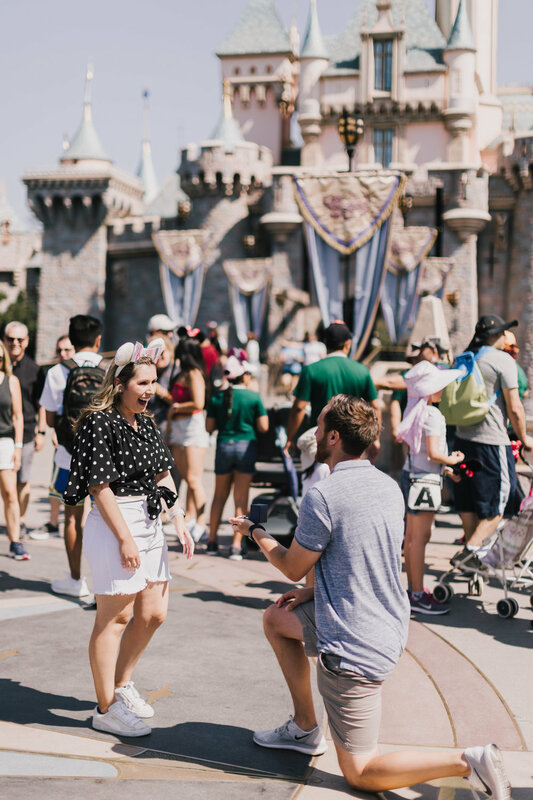 Two weeks later I found myself in Disneyland watching my baby bro propose to his best friend. We spent the next two days celebrating by melting from the heat and almost puking on the new Guardians of the Galaxy ride. I can’t wait for their wedding in California next summer!!! Ready to pop the question? Make sure I’m there.